LG Electronics received 29 Red Dot Awards, including two Best of the Best honors for its LG Signature Oled TV R and LG Signature bottom-freezer refrigerator. The Red Dot judges praised LG Signature Oled TV R, calling it “a product offering new usage scenarios” and heralding it as “the complete combination of technology and design”. They also noted that the functionality, design and ease-of-use of LG Signature bottom-freezer refrigerator design achieved “impressive harmony”. 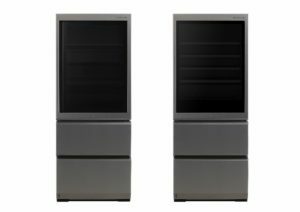 In addition to the two Best of the Best wins, 27 other LG products, including a number of Oled TVs (models Z9, E9, C9), LG Audio (model AJ7), Signature Kitchen Suite Oven Package, were recognized in the product design category for category-leading aesthetics, functionality and technological innovation. “Being recognized by Red Dot is a tremendous honor and reaffirms our belief that great design can drive category leadership – Noh Chang-ho, vice president and head of corporate design at LG Electronics, said -. We will continue to push the industry forward by delivering design innovation to our customers and showcasing what’s possible for the future”.